The Japanese chart figures are finally in for last week and Octopath Traveler has grabbed the top spot without even the slightest bit of concern from competitors, securing 110,111 sales in its opening week. Are you surprised by any of the figures here? Or is this pretty much what you expected for Nintendo this week? It deserves to be #1. Honestly it’ll probably do Bravely default numbers which is amazing for its genre. Even after almost a year and a half now, I still can't get enough of these Switch related success stories. Doesn't the title and sub title contradict each other?? Awesome news! Still on the fence myself about Octopath though. @Spoony_Tech Haha, I didn't think of it that way Changed it now. Good for them though, it's a great game! Never seen a Square Enix game, much less on a Nintendo platform, reach no. 1 in some time. I love it. So deserved. What a gem of a game. Could end up being my favorite JRPG of this decade. Thank you for the Japanese charts! Anyways, great numbers for Octopath. It did not do quite as well BD in its opening week, but it did slightly outsell End Layer. Captain Toad outperformed its Wii U release, which is particularly impressive since it was released on Wii U in November, a much more important sales month. Overall, a great week for Switch. Wow! Top 7 all Nintendo games, never thought i would see that 2 years ago. So, can SquareEnix consider to PORT FF XII The Zodiac Age, FF X/X-2 , World of Final Fantasy, Kingdom Hearts 1.5 + 2.5 HD to Nintendo Switch ? @Equinox Agreed. I don’t really know why they underestimated demand so much. It was a highly anticipated game in a country that loves the genre on said country’s current favorite platform. Of course it would do very well. High quality 2D turn-based JRPG game are rare these days so it's expected. I hope it picks the interest of more developers to bring more games like this. Just got this yesterday. I'm really loving it! Square Enix: No one wants turn-based JRPGs. Also Square Enix: Why are these turn-based JRPGs with minimal marketing selling so well? Where's God of War? Where's Far Cry 5? Where's Monster Hunter World? I mean it's great that it's number one and sold well in 3 days but it's also embarrassing that Square severely underestimated this game. They had large demo downloads, large feedback from the demo (meaning fans were engaged), and it was in the top 10 of most wanted games in Japan for months. That's not to mention it was in the reveal trailer for the Switch. Really poor job on their part. So it "Sold Out" at 110K. @wratih9 Not to mention the success of BD, which they were also surprised at. Is anybody else shocked by the performance of Shining Resonance? What the hell happened there? Amazing news, that software dominance is incredible. Anyone know what Switch lifetime to date sales in Japan now stand at? I wish this sales info was as freely available for the US and Europe! @Rob3008 Famitsu reported near the start of July that the Switch has reached 4.5 million sales in Japan. I'm so happy that this game is doing well. About 25 hours in now the game definitely captures the feel of the RPGs of the SNES/PS1 era, I can scarcely believe that Squeenix of today could produce such a masterpiece. The main thing I take away from this is that Splatoon 2 is outselling Breath of the Wild in Japan two to one. That's really hard for me to process. @TheOpponent They're both masterpieces in my eyes. I wouldn't bedrudge Splatoon 2 any success in the world. But yes, it is funny how Zelda isn't nearly as popular as in the West (where it outsold the Switch system itself for a period of time). Those are shocking poor numbers for Shining Resonance. I'm sure Sega will have expected a lot more than 3,465 sales for a JRPG. @Agramonte Going by what I've picked up from your past comments regarding the style of games you enjoy I'd have thought you'd be all over Octopath Traveller? @Rob3008 It's somewhere around 4.5 million. There was an article on it a few weeks ago. It's something like 500k behind the PS4 lifetime sales in Japan and predicted to pass it by the end of the year. Impressive, the top 5 games on the chart belongs to Switch and Octopath Traveler definitely deserve that top spot, it really is an epic game. @OorWullie It's a low number there cause it's just a re-release for that market as Shining Resonance was originally only a Japanese exclusive. Everywhere else the game will be new which will result in better sales number. Japan is not going to be impressed by a game they already play before with little to nothing new added. @Agramonte yeah sold out at 110k is pretty bad. Mario tennis did 120k in its first week. No idea why they got the demand so wrong for this. It was top of the games Japanese players were waiting for chart for months as well. So stupid. I think in a way it’s good they underestimated the sales for octopath as it means the hype around the game stays high and people keep talking about it ! @OorWullie I love turn based jRPGs... but Octopath Just not my thing - I finished my last Pixel Art RPG game with Cosmic Star Heroine (also coming to Switch) and called it a day for now. I've downloaded the DEMO 3 times - but you know when you not into something when you spend more time reading about a game at NL than actually playing it. 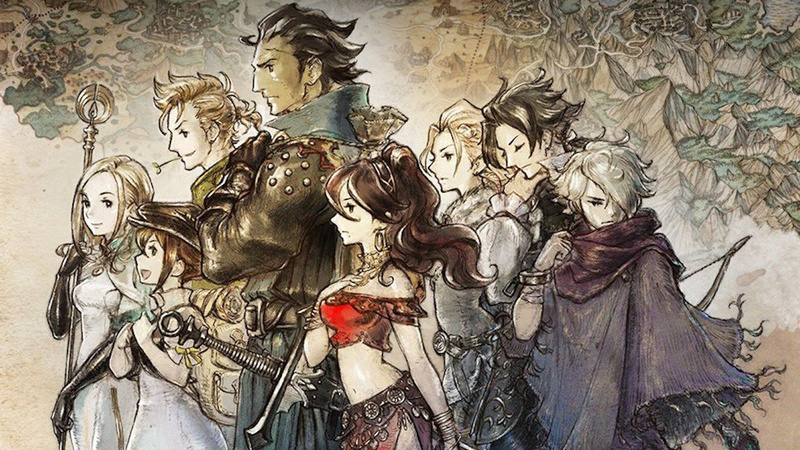 Octopath had lower launch sales than Bravely Default (145,000 copies), but higher launch sales than Bravely Second (96,000). Makes sense, given the high demand but lack of supply at retail. Digital sales will be quite large. 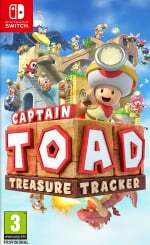 Also, Captain Toad on Switch had higher launch sales than the Wii U version (28,000 copies). This means Captain Toad joins Donkey Kong Country Tropical Freeze as one of two Switch ports that have outperformed their Wii U originals at launch. Ouch, those Shining figures are not a glowing endorsement. However, if that's how bad the Switch figures are, it's obviously even worse for the PS4 re-release. I'd like to know how the game does in the West. @Mr_Pepperami Who knows - maybe they were just pushing people to Digital and pocket the printing and cart money. It is SE. Seems like only place they made enough to meet demand was the UK. Switch is The worst of the bunch - but 3rd launch is not the best place to be in Japan (I went with Switch myself in US). Well, hoping Shining Resonance does better in western numbers. I already have my copy. @Aaron09 what are Bravely numbers? @Eef same here, it reaches my hands this Monday. I hope that developers take notice of this! Switch owners, for the most part, want third party support when it is done right! Well deserved, the first few hours of Octopath aren't the best because of the repetitive set up for each character's Chapter 1, but the game gets a whole lot better with time. I'd say that's true of most JRPGs, anyway. Octopath is most likely going to be my singleplayer GOTY. Hope Square actually pays attention this time. Don't know how many times they can be shocked that there's still a market for turn based JRPGs before they realize there's still a market for turn based JRPGs. 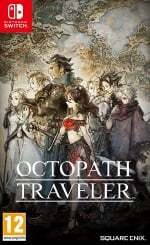 Almost 5 millions switch in japan and square enix though they only sell 100000 copies of octopath traveler ? A classic jrpg on a top-selling console and they only put this much copies. They really need to learn. @OorWullie Not quite. According to the latest MPDs in Japan. The PS4 is on track to sell 7m systems in Japan soon enough. The Switch is only sitting above 4.6m. I do agree that I think the Switch will out sell the PS4 by the end of the year though. This whole third party support on Switch phffft u just don't get it. It is selling like hot cakes worldwide and there just isn't the support you would expect for that success. I know it takes time to build that support and I'm not expecting nes/snes era level of support but surely it should be close to n64/GameCube levels by now. I think Nintendo have done a good job of courting indies would be nice to see that for third parties. You know what's funny? I just came back from 2 weeks in Japan, spent a lot of time traveling, trains and major centres. I didn't see a single person playing switch the entire time - no joke. In fact the only console, was an older man playing PSP / PSV near Toyko on a train... Everyone else was on their mobile. It looks like they fell off that cliff the Switch and Kirby were supposed to fall off of. It's not really a cliff any more, it's more of a landfill of big "AAA" titles for Kirby to gently step onto once it finally runs its course. Half a mill in Japan for a title our "experts" gave no chance at all. I also see the Xbox has resumed normal service as well. God of War and FarCry aren't exactly big franchises so it makes sense that they would "fall off of the cliff", but Monster Hunter World pretty much not having legs at all is certainly a surprise. @Cathousemaster Really? I live in Japan and I see people playing on Switch on the train, at shopping malls and restaurants... Obviously they’re not as many as those playing on their 3DS or phone but still I’m seeing plenty of them out there. @Krull It's worst cause it's just a better PS3 game and Japan already got their filled with the game last gen already. Best just hope for the better elsewhere for the game. I only spent 1 day in the Tokyo region, and 1 night around Shinjuku. I did try out the Mario kart VR, which was quite fun. And can we talk about Nintendo utterly dominating in Japan right now? Yeah I know it is Japan but clearly Nintendoomed and no games. Man, I am so glad I managed to get a preorder in for the Wayfarer’s Edition. My preorder was kind of last minute and when I heard about it being sold out almost instantly, I was more than half expecting Amazon to cancel my order. But I got it in the post today and am having a blast! I can’t wait to play Shining Resonance as well, and I’ll probably be alternating between the two of them (And maybe Xenoblade 2, also, because I still haven’t finished that one). It’s a good summer to be a JRPG fanatic! Totally buying into the hype for Octopath Traveler. Will snag a physical copy when I see one. The gap between Switch as number 1 and PS4 as number 2 is huge. So cool to see and the games are pretty much all Switch too. So cool.